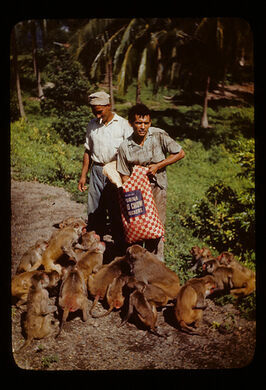 In 1938, four hundred and nine Rhesus Macaque monkeys were dropped off on Cayo Santiago. 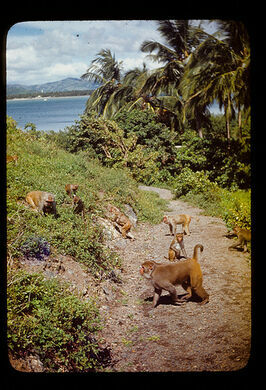 Today, known as Monkey Island, the nine hundred and fifty descendants of those founder monkeys run free on the island. Cayo Santiago serves as the Primate research center for the University of Puerto Rico, Caribbean Primate Research Center. 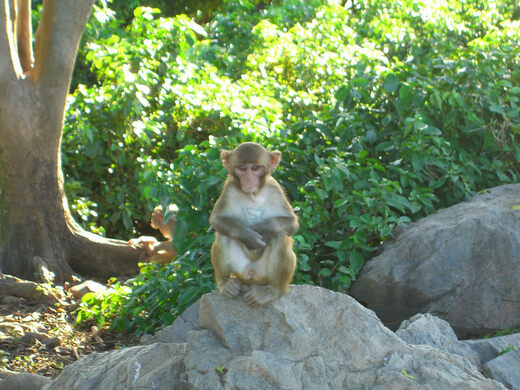 Although you must be a researcher to go onto the island, one can charter a boat out to the island and observe the monkeys playing on the beach from the boat.